Millions of tons of metal and other materials are recycled each year in an effort to conserve our natural resources, boost the economy and help keep our planet clean. Enormous amounts of energy and other natural resources are consumed to manufacture such materials as plastic, aluminum and glass. There is an 80 to 90 percent savings in energy alone when we recycle these materials versus producing them from raw materials. All natural resources are of value and it is important to conserve where possible. Recycling is one of the best ways to avoid bleeding our planet of what it provides us. 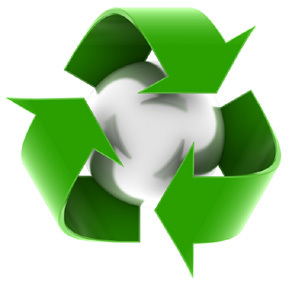 Recycling efforts greatly reduce the expenses that cities and towns incur for garbage disposal and landfills. It has been said that the amount that recycling costs a community is far outweighed by the amount that it saves by employing a good recycling program. The manufacturing and production of glass, metal, and other materials emits pollutants into the air that have a detrimental effect on our environment. By reducing production we also reduce pollution. Discarding materials rather than recycling creates massive garbage pileup in landfills which pollutes the air, the soil and our water. Rather than these materials being left to pollute our planet, they can be used to rebuild. It is estimated that the amount of aluminum wasted, if recycled, would be enough to build a city the size of Manhattan.